If Will Fletcher's severe bipolar disorder isn't proof he shouldn't be a parent, his infant daughter's grave is. Once a happily married, successful veterinarian, he now lives with his sister and thrives as the small-town crazy of Half Moon Hollow. But when a fifteen-year-old orphan claims she's his daughter, Will is forced back into the role he fears most: fatherhood. Her biological dad isn't the hero Regan Whitmer hoped for, but he's better than her abusive stepfather back in Chicago. Still haunted by her mother's suicide and the rebellious past she fears led to it, Regan is desperate for a stable home and a normal family--things Will can't offer. Can she ride the highs and lows of his illness to find a new definition of family? 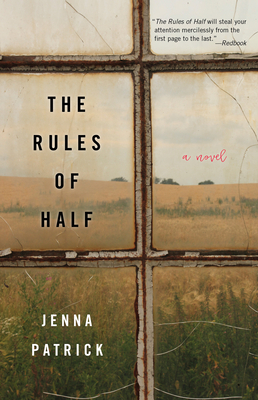 The Rules of Half explores what it is to be an atypical family in a small town and to be mentally ill in the wake of a tragedy--and who has the right to determine both.